With the summer holidays and Holy Week inching closer and closer, the urge to travel escalates even further! Fortunately for you, Klook has got a number of travel deals in store this April to make your travels cost-effective and of course, hassle-free! 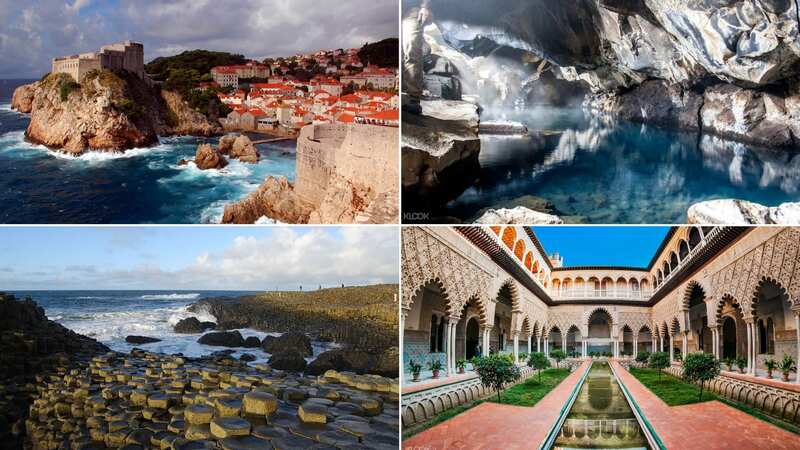 In this month’s travel digest, we also focus in on four destinations to kickstart your summer holiday. From the final sakura blooms in Kyoto to the much-anticipated Songkran festival in Bangkok, you might just find your next adventure in these neighboring cities. Neighboring the cities of Osaka and Nara, Kyoto offers visitors a peak into Japan’s rich historic past with its well-preserved temples, imperial palaces and traditional wooden houses. It is also quite known for its scenic gardens, most notably the Arashiyama Bamboo Forest, and as well as the gardens surrounding the Kinkaku-ji golden temple. During the month of March and April, the beautiful city of Kyoto gets its fair share of Cherry Blossoms from 20 March all the way to the 14th of April. So if you’re looking to escape the blistering heat, Spring in Kyoto is a great option! 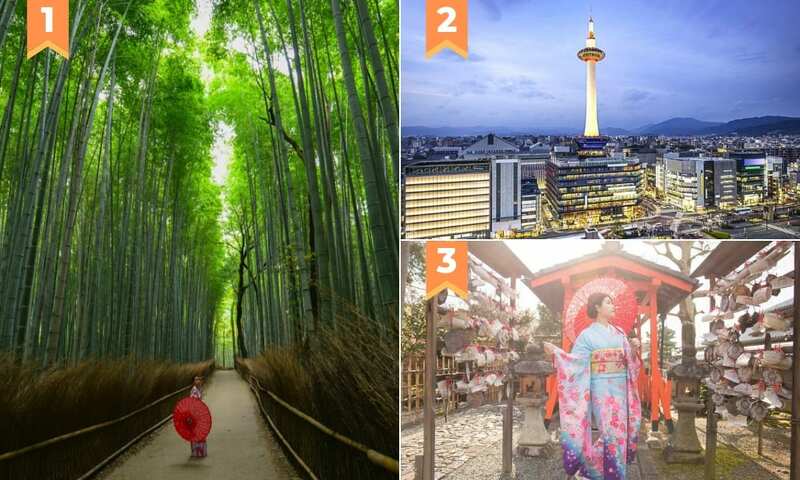 Kyoto Sagano Romantic Train, Arashiyama, Kiyomizudera &Fushimi Inari-taisha Day Tour – Get those cameras ready and take a tour of Kyoto’s mystical attractions all in one day! 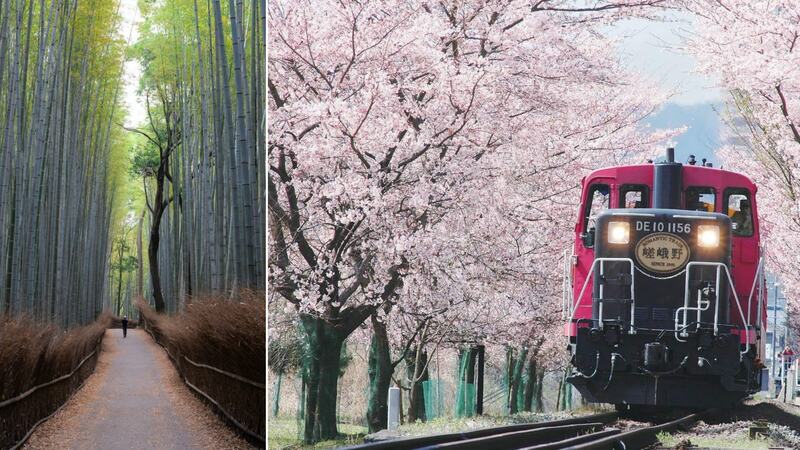 Along with a professional tour guide, escape to the Arashiyama Bamboo Forest, Fushimi Inari Shrine and even get a chance to ride on the Sagano Romantic Train just in time for Cherry Blossom season! Kyoto Tower Admission Ticket – Rocket up 100m to the Kyoto Tower observatory deck and feast your eyes on unobstructed views of Kyoto! From the tallest structure in Kyoto, you’ll be able to spot attractions like the Toji Temple and even all the way to Osaka on a clear day. One Day Kyoto Kimono Rental – Get the full Japanese experience and don a Kimono as you tour the historic streets of Kyoto! Take full advantage of the picturesque sceneries, and some might think you’ve travelled through time to get the perfect shot. Located just three hours via plane from Manila, Singapore is easily the perfect weekend getaway destination for you and your friends this summer vacation! Although small, this metropolitan city is teeming with adventure – from a Man-made groves and a Cloud Forest to heart-pumping attractions at Universal Studios Singapore! Plus with hundreds of hawker centers to feast at, you can’t go wrong with a trip to the Lion City! 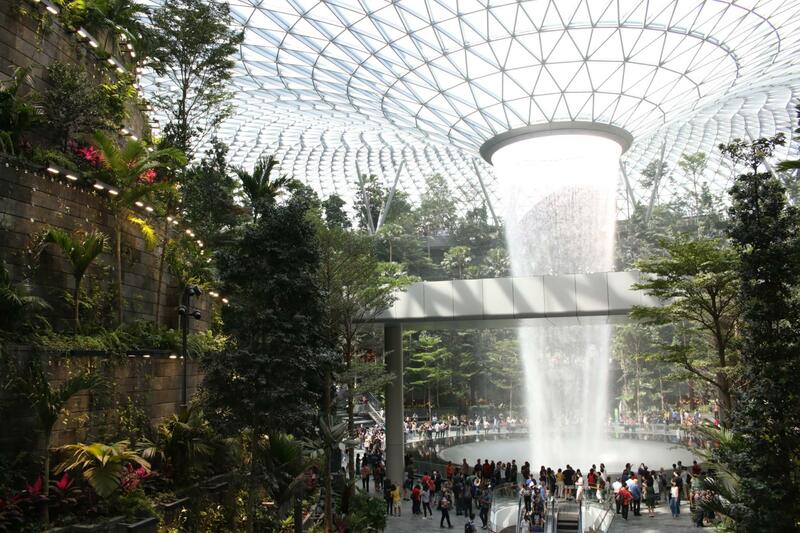 Singapore Gardens by the Bay – With its man-made groves, cloud forest, and flower dome, this top Singapore attraction is not one to miss. Whether you visit during the day or at night, the garden’s sights are sure to leave you in awe! 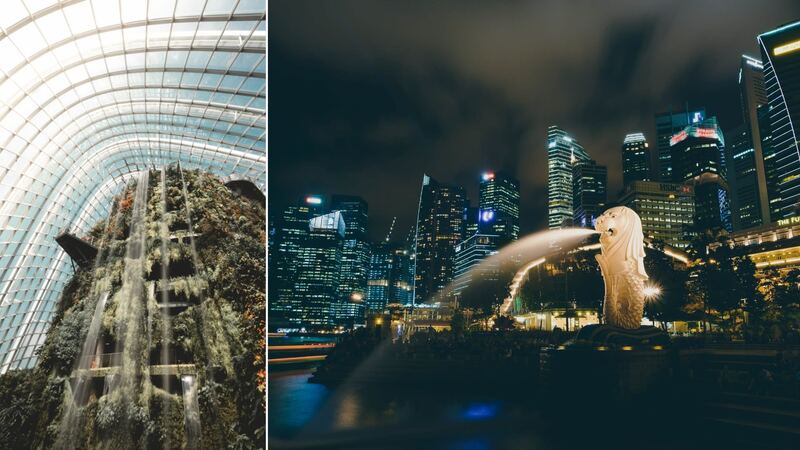 ArtScience Museum: Marina Bay Sands – Art lovers and Instagram fiends will happily spend hours in this local museum! 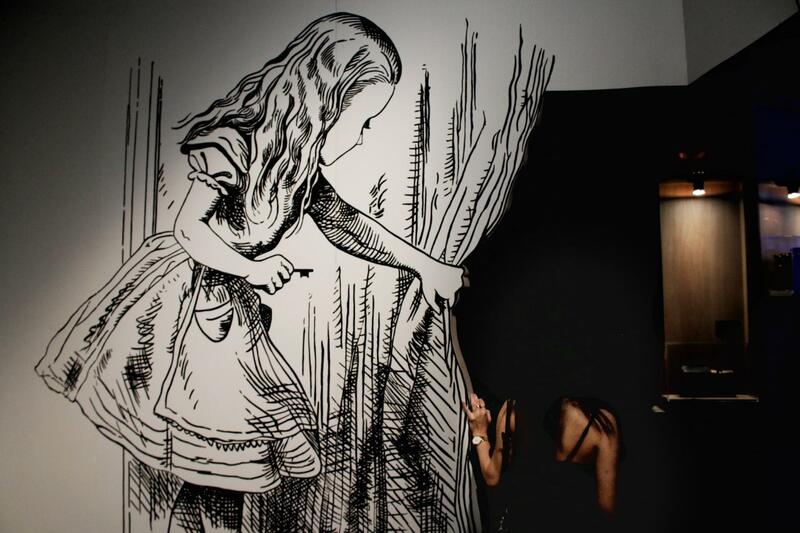 We highly recommend making time for the interactive FUTURE WORLD: Where Art Meets Science exhibit and as well as the Alice in Wonderland themed exhibit that’s set to launch this 13th of April. Jurong Bird Park – Take the family out for a unique wildlife experience! At Jurong Bird Park, visitors get to chance upon 5,000 species of birds, take part in feeding sessions, and even dine with parrots! Plus this 1 April to 30 April, the kids can enjoy the Easter Eggs-travaganza with Gudetama. 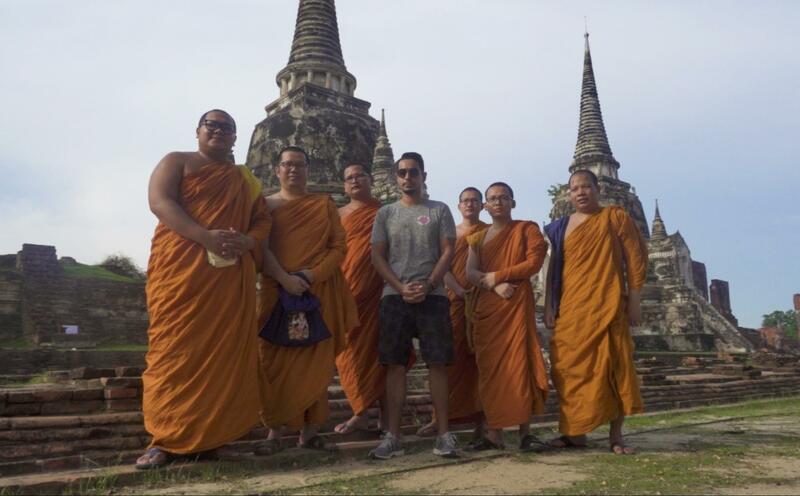 For the perfect mix of culture, shopping, and food, there’s no better place to travel to than Bangkok, Thailand! Home to a handful of ornate palaces and temples, buzzing shopping centres, and rich, creamy food, if you have yet to visit Thailand’s capital yet, this summer is the time to change that. Sompong Thai Cooking Class – Summer is always a great time to learn some new skills, so why not try your hand at cooking? Learn how to cook your favorite Thai recipes, whether it be Pad Thai or Tom Yum Goong, and take the recipe home to share with your friends and family! Thailand Floating Markets Day Tour – Floating Markets are unique to Thailand, so it’s highly recommended that you experience it for yourself! Not only will you feast on delicious local delicacies, but you might even get to ride a boat through the markets as well. Let’s Relax Spa Bangkok – Give yourself the R&R you deserve and indulge in a spa treatment by Let’s Relax Spa. Since you’re already in Thailand, it is imperative that you try a Thai massage! However, if you’ve got other relaxation preferences, fret not as we offer several packages, too. 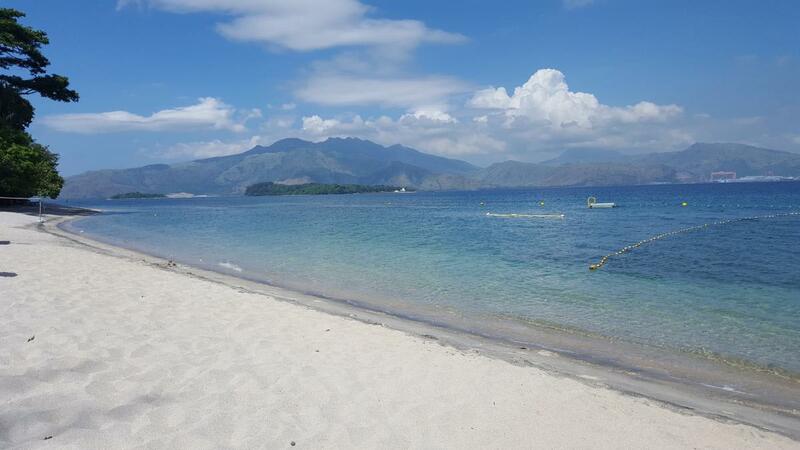 For a last minute getaway, Subic is definitely one destination to consider! Not only is home to white sand beaches like those in Camayan Beach, but visitors are sure to find adventure here as well. 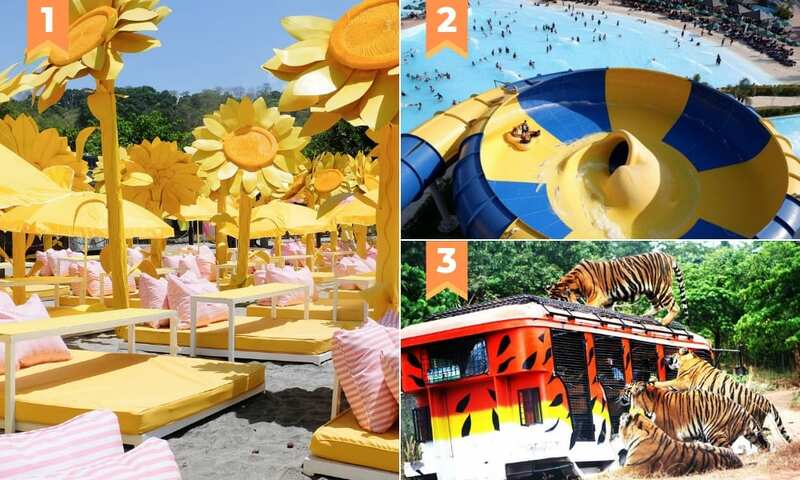 From a 30-foot slide drop at Inflatable Island to the Tiger encounters at Zoobic Safari, there’s definitely no shortage of fun on this side of the Philippines! Inflatable Island– Get those summer #OOTDs ready and strike a pose at the IG-Worthy Sunflower daybeds or Pink Bali Lounges over at Inflatable Island. Alternatively, get wet and wild as you take on a challenge (30 feet to be exact) at their newest attraction – The Vortex. Aqua Planet Waterpark – Beat the heat with a pool day at Aqua Planet! With 38 slides to try, everyone in the group gets to cool off and have an amazing time! If you want to skip the long lines, book your tickets via Klook today. Zoobic Safari – With its Tiger Safari, Crocodile feeding station, and cultural Tribal Show – it’s safe to say that this isn’t your ordinary zoo. In addition to these fun attractions, guests can now also experience the Zoobic Night Safari featuring a fire show and a glimpse into the animal’s nightly routines. Are you ready, Cebu? Catch the best travel deals for Hong Kong, Japan, Korea, Taiwan, and Singapore as Klook brings the celebrated Travel Fest to the Queen City of the South! 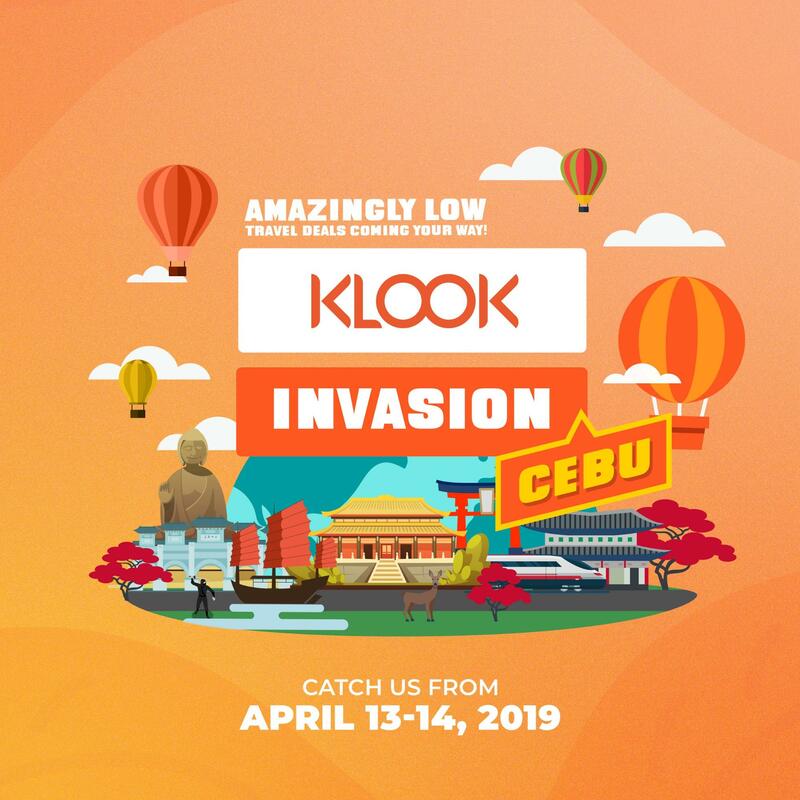 From April 13 to 14, Klook Invasion: Cebu guests can expect exclusive promo deals, special bundles, exciting prizes, travel workshops, and so much more! Stay tuned to our Facebook Page for more updates – you wouldn’t want to miss the hot, hot deals coming your way! RSVP and get your free voucher today! 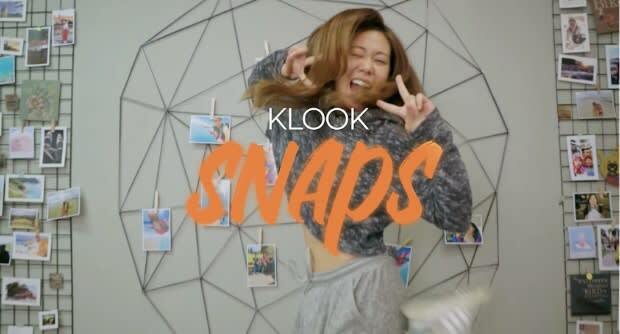 New users can use the promo code <200KLOOKIT> for Php 200 OFF any Klook activity with no minimum spend. Valid for Klook App bookings only. Get your Php 200 OFF now! 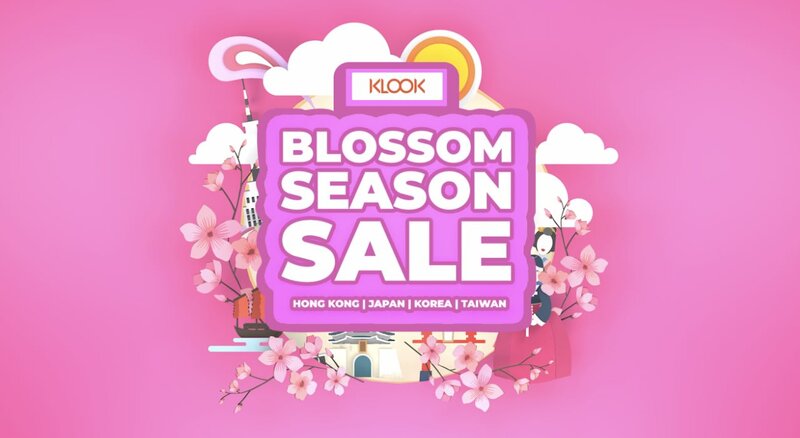 First-time Klook users can use the promo code <BLOSSOM200> to get Php 200 OFF all Hong Kong, Japan, Korea, and Taiwan activities with no minimum purchase. This code is only applicable on the Klook App and must be keyed in before any other promo codes. Use the promo code <BLOSSOM650> to get Php 650 OFF all Hong Kong, Japan, Korea, and Taiwan activities with a minimum purchase of Php 3,000 in a single booking. Applicable only on the Klook App. Use the promo code <BLOSSOM1500> to get Php 1,500 OFF all Hong Kong, Japan, Korea, and Taiwan activities with a minimum purchase of Php 15,000 in a single booking. Applicable on both Desktop and the Klook App. Use the promo code to get 20% OFF (max. discount of Php 11,000) selected Japan Cherry Blossom activities. Use the promo code to get 20% OFF (max. discount of Php 5,000) selected Korea Cherry Blossom activities. Use the promo code to get 20% OFF (max. discount of Php 5,000) selected Taiwan Cherry Blossom activities. Use the promo code to get 10% OFF (max. discount of Php 7,500) selected transport passes. Enjoy exclusive deals to Hong Kong, Taiwan, Korea, and Japan! AUSTRALIA: Use the promo code <AUSGOALS>to get Php 1,200 OFF all Australia activities with a minimum purchase of Php 15,000 in a single booking from 1 Apr 2019 to 30 Apr 2019. 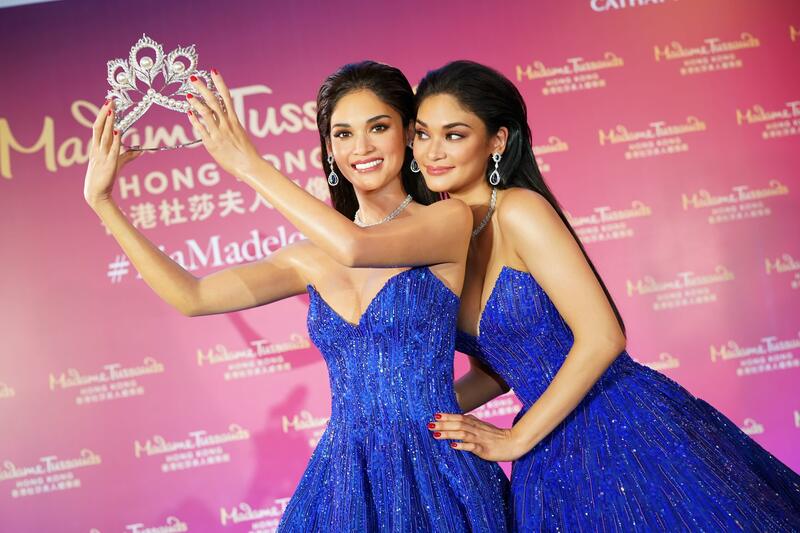 CHINA: Use the promo code <CNGOALS> to get Php 1,000 OFF all China activities with a minimum spend of Php 11,000 in a single booking from 1 Apr 2019 to 30 Apr 2019. INDONESIA: Use the promo code <IDGOALS> to get Php 500 OFF all Indonesia activities with a minimum purchase of Php 5,000 in a single booking from 1 Apr 2019 to 30 Apr 2019. 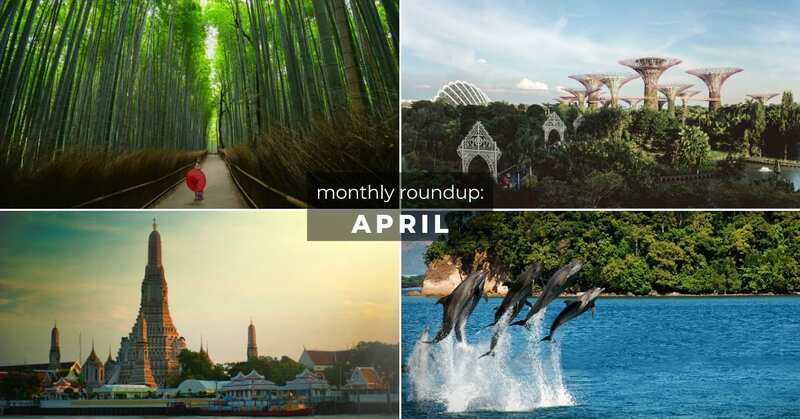 MALAYSIA: Use the promo code <MYGOALS> to get Php 650 OFF all Malaysia activities with a minimum purchase of Php 6,500 in a single booking from 1 Apr 2019 to 30 Apr 2019. UAE: Use the promo code <UAEGOALS> to get Php 1,200 OFF all UAE activities with a minimum spend of Php 15,000 in a single booking from 1 Apr 2019 to 30 Apr 2019. 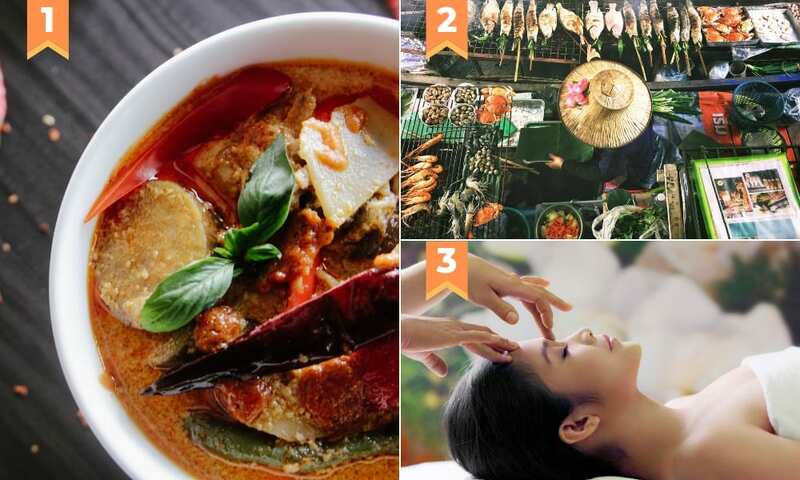 VIETNAM: Use the promo code <VNGOALS> to get Php 500 OFF all Vietnam activities with a minimum purchase of Php 6,000 in a single booking from 1 Apr 2019 to 30 Apr 2019. 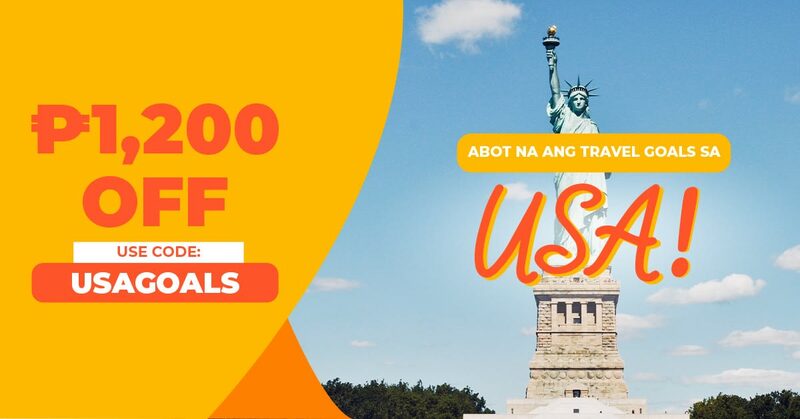 USA: Use the promo code <USAGOALS> to get Php 1,200 OFF all USA activities with a minimum spend of Php 15,000 in a single booking from 1 Apr 2019 to 30 Apr 2019. FRANCE: Use the promo code <FRAGOALS> to get Php 1,200 OFF all France activities with a minimum spend of Php 15,000 in a single booking from 1 Apr 2019 to 30 Apr 2019. ITALY: Use the promo code <ITAGOALS> to get Php 1,200 OFF all Italy activities with a minimum spend of Php 15,000 in a single booking from 1 Apr 2019 to 30 Apr 2019. 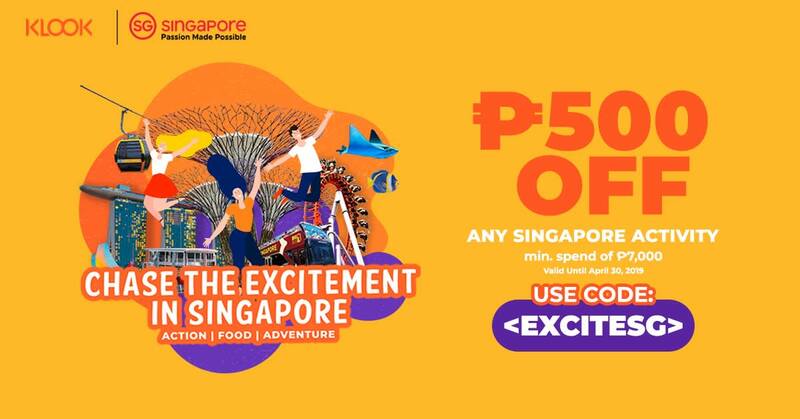 Use the promo code <EXCITESG> for Php 500 OFF all Singapore activities with a minimum spend of Php 7,000 in a single booking. 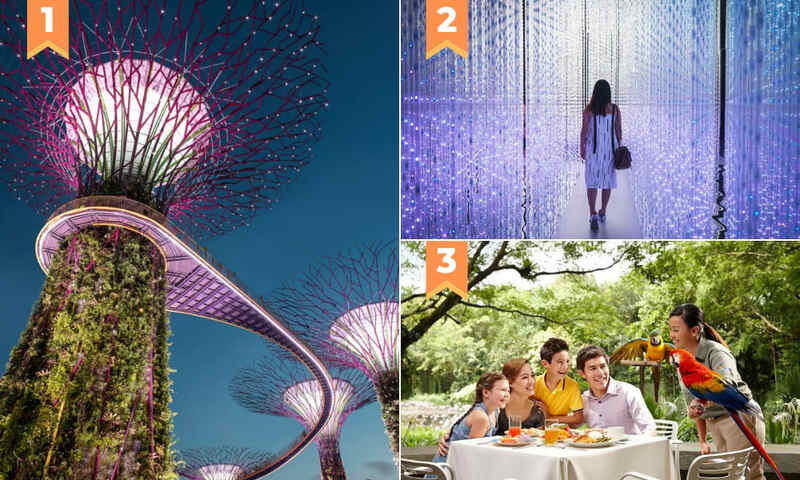 Get Php 500 OFF your Singapore holiday! Use the promo code <WKENDBUDDY8> for 8% OFF ANY Klook activity (max. discount of Php 600) with no minimum spend. 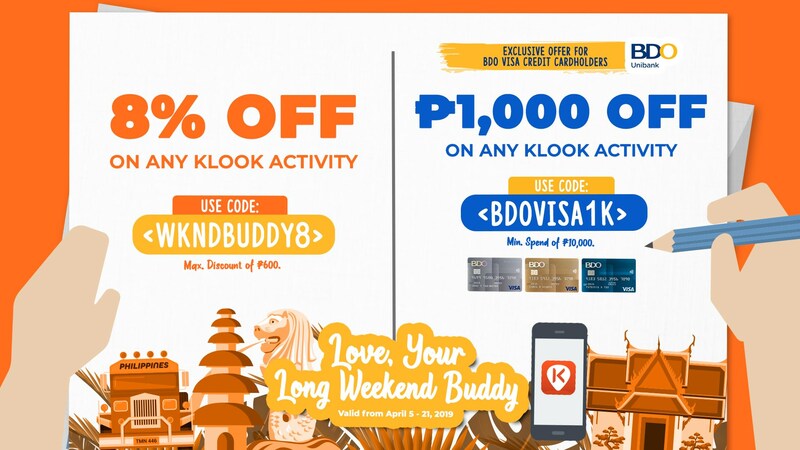 BDO Visa Credit Cardholders can key in the promo code <BDOVISA1K> for Php 1,000 OFF ANY Klook activity with a minimum spend of Php 10,000 in a single booking. 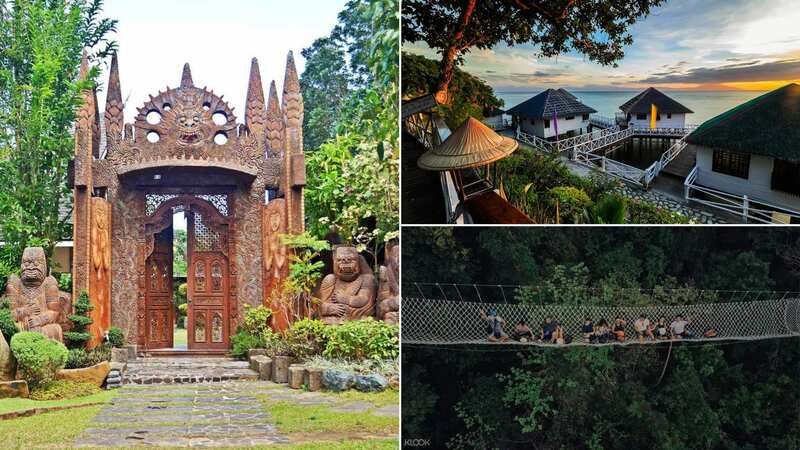 Get up to Php 600 OFF your long weekend itinerary! 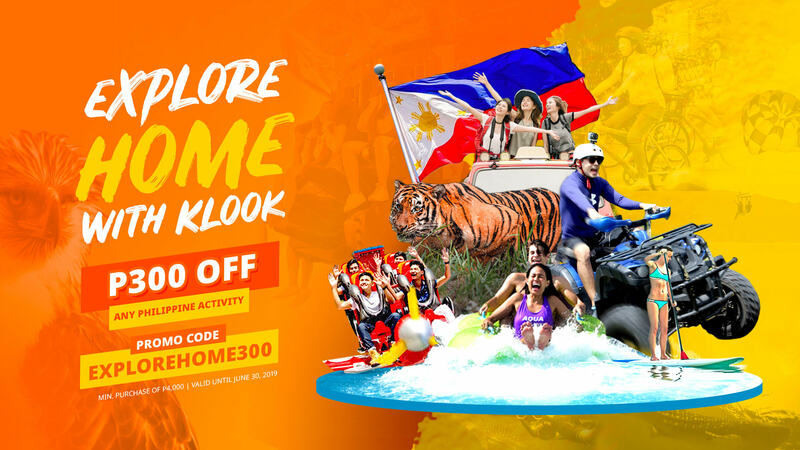 Use the promo code <EXPLOREHOME300> for Php 300 OFF any Philippine activity with a minimum spend of Php 4,000 in a single booking. Enjoy php 300 Off PH activities! Klook is a world leading travel activities and services booking platform. Discover over 80,000 travel activities and services across over 250 destinations worldwide. Start booking your next adventure now on www.klook.com or via the Klook app! 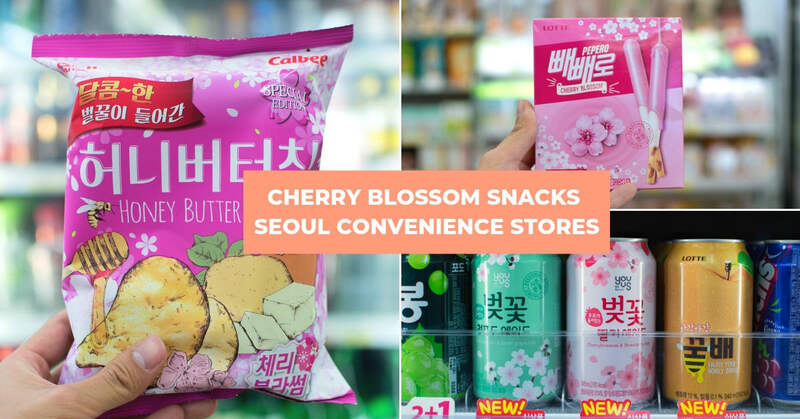 Previous post Limited Edition Cherry Blossom Products Available At Convenience Stores In Seoul!